We're back from Japan and WOW I've been busy! So much to tell you about in this update! Florida folks - we are preparing for MegaCon coming up soon - April 10-12th at the Orange County Convention Center in Orlando - details are here - if there are any specific prints or canvases you'd like us to set aside for you at the show, email us at JasmineToad@aol.com with the subject line MEGACON ORDER within this next week. We can have whatever you'd like all ready for you when you arrive! 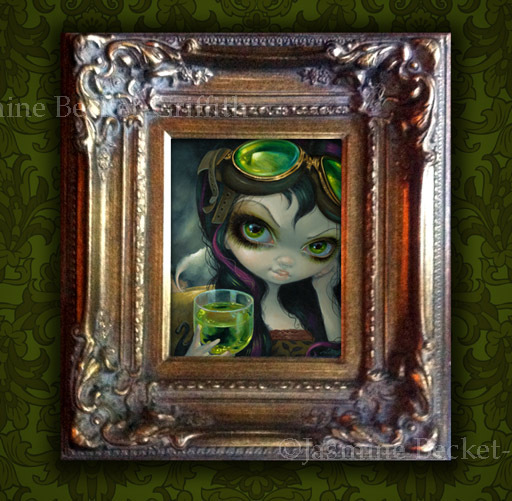 Absinthe Goggles - part of my ever-popular steampunk series - this piece combines two of my own obsessions, absinthe and tornadoes. The few recurring dreams I've had in my life involve tornadoes (possibly a side effect of being originally from Kansas City). This is my own original acrylic painting. She comes in a 16"x18" ornate antique dark gold finished wood frame (interior panel 8"x10"). Sticks out about 3"-4" from the wall - very substantial - we will pack & ship very carefully & professionally. It already has a wire hanger on the backside so you can pop her up on your wall immediately! The original painting herself is up for auction on eBay right here, bidding starts at just ONE PENNY! 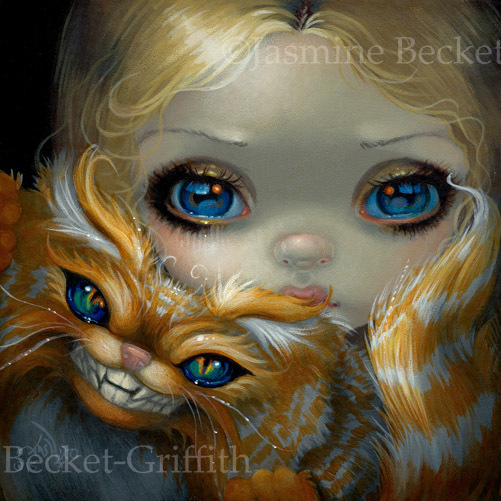 The 232nd installment (yes, this is the two hundred and thirty-second painting I've done in this particular series) of my Faces of Faery series features Alice & the Cheshire Cat! 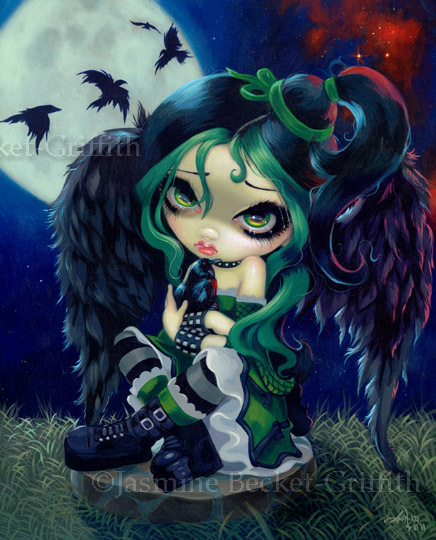 We have sold out of my "Perched and Sat and Nothing More" Limited Edition Canvases. As always, the very last one (in this case, the #25/25 since only twenty-five were ever made) is being put up for auction so everybody gets one last chance. Bidding starts at a penny here - handpainted with acrylic paint details, signed & numbered by me, numbered #25/25, 11x14". 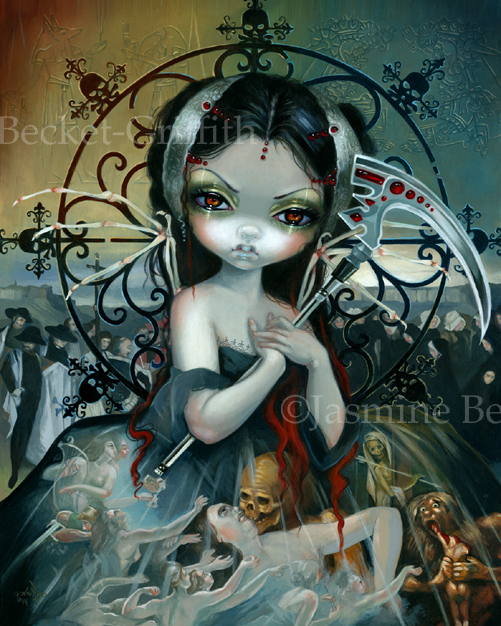 Another "last chance" for my Limited Edition canvas of "Unseelie Court: Death." There were 25 of these made, each hand embellished by me in acrylic paints, signed & numbered, so this auction is for the #25 of 25, now sold out. Also 11x14" in size, click here to get your bid in - no more LE canvases of her will ever be made. Dozens of different cards to choose from! 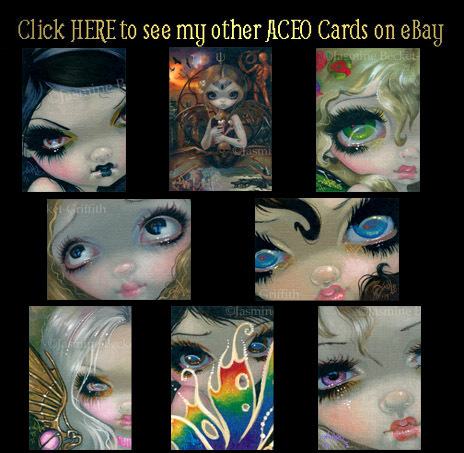 I'm so pleased to announce that I have partnered with Card.com to offer a wide selection of my paintings on their cards! 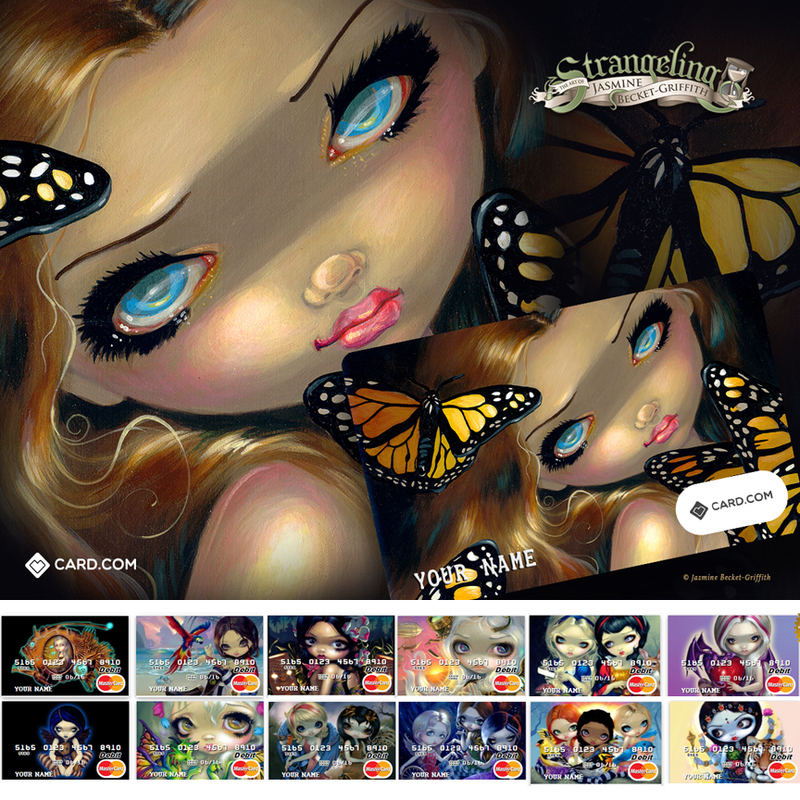 All the details & cards to choose from arehere. No credit check needed (these aren't credit cards, just debit /payment cards), and totally cute. Yes!!! I got my stock in, and we now have some signed (by me!) 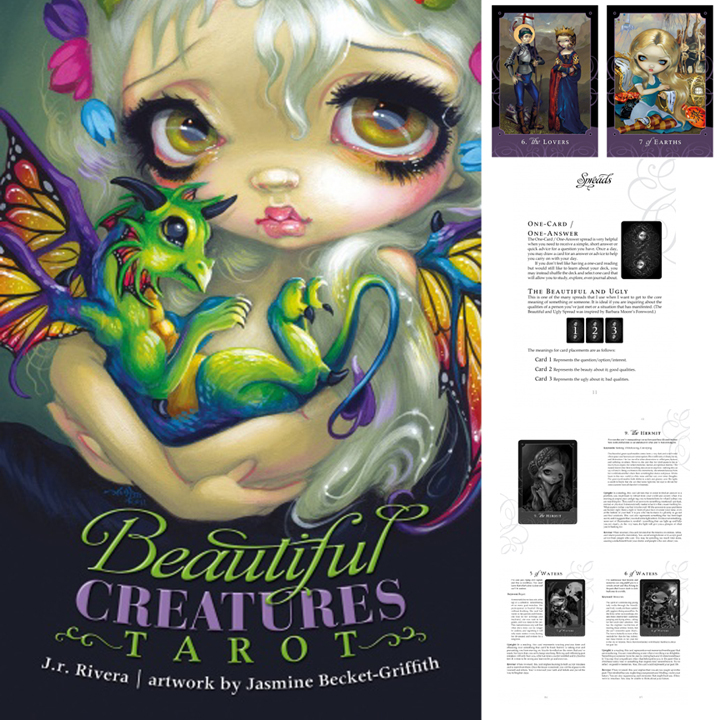 copies of the magnificent Beautiful Creatures Tarot up at Strangeling.com here . We are happy to ship anywhere in the world. I will also have some of these in stock for MegaCon in Orlando!